This fourth edition of the "Moderns Engravings Real Book" has been brought well up-to-date in respect to the previous ones, especially under the aspect of photographic images. A further two hundred unpublished photographs have been added. 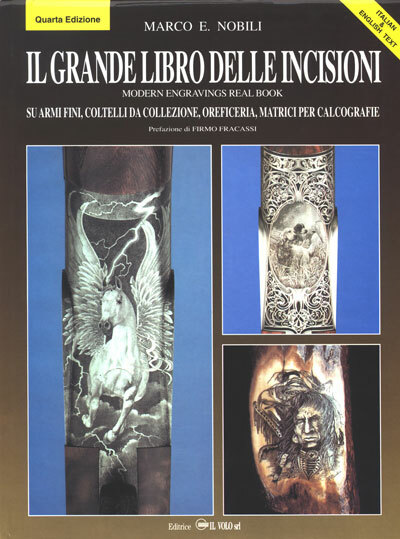 This up-dating was necessary to give space to more recent works done by the italian engravers and also to complete the volume with historical engravings which distinguished the major manufacturers of fine English guns. The opera is now completed and proposes the best existing expressions of engravings on guns, knives, jewsellery and other items. The book is in both Italian and English.Hardcover, 587pp.